CG Says: The Spider convertible returns to the 2018 Alfa Romeo 4c lineup, otherwise the 4C is essentially unchanged. Under the auspices of parent-company Fiat Chrysler Automobiles, Italy’s Alfa Romeo brand was re-launched in America for 2015 with the 4C, a small, mid-engine 2-seater coupe with a very snarky attitude. A convertible Spider model was added midyear, although it skipped 2017. The 4C’s sole engine is a turbocharged direct-injection 4-cylinder that displaces 1750 cc (approximately 1.8 liters) and puts out 237 horsepower. It’s connected to Alfa’s TCT twin-clutch automated-manual transmission that features paddle shifters. 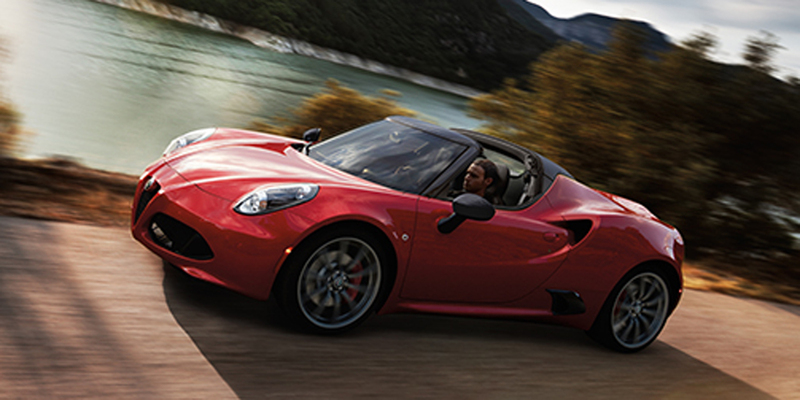 The 4C is an uncompromising performance car that’s for serious enthusiasts only. The cabin is cramped and noisy, entry and exit is tricky because of the extremely low-slung seats, the ride is rough over anything but glass-smooth pavement, and visibility out the rear window is almost non-existent. There’s also no power steering, so maneuvering at parking-lot speeds is a real chore. All those rough edges give the 4C a raw nature that makes it a particularly thrilling, viscerally engaging driver’s car in the right circumstances. However, a Porsche Boxster or Cayman, or a Chevrolet Corvette, offer equally impressive performance and are much more livable in day-to-day driving.